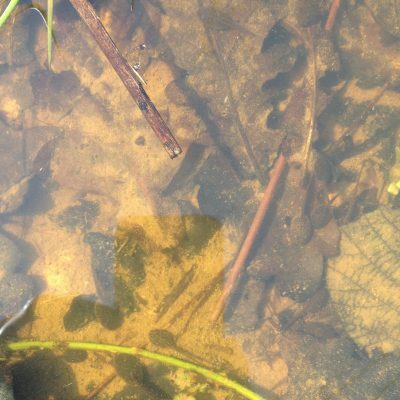 These tadpoles were swimming by the 17th tee at RCGC. Unfortunately, partly due to the sandy bottom and partly due to sun beams, the pond dried before most of them developed into frogs. They croaked.